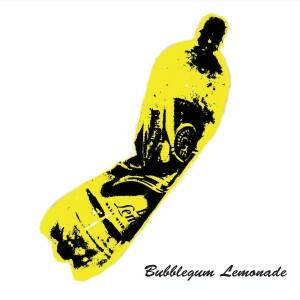 The instantly loveable third album from popular Glasgow band Bubblegum Lemonade, ‘Some Like It Pop’ is perfectly structured to ebb and flow from upbeat to downbeat and from fuzzy to clean across a dozen effervescent pop songs. The album kicks off with the poignant track ‘This Is The New Normal’ with plenty of jangling guitars on display plus a dose of violin and a nice helping of ba-ba-ba’s. ‘It's Got To Be Summer’ has bits of glockenspiel, chiming guitars, and shimmering harmonies that recall fellow Scottish heroes Teenage Fanclub, while ‘Famous Blue Anorak’ is up-tempo jangly pop reminiscent of The Pooh Sticks and ‘Don't Hurry Baby’ is like a downbeat Mary Chain meets the Walker Brothers with Sandra from Strawberry Whiplash on backing vocals. ‘Dead Poets Make Me Smile’ is an instant classic with guitars that recall The Smiths or The Wedding Present and lyrics about James Dean and Oscar Wilde, among others. It’s a clear single contender and the perfect song to balance the darker shades of the acoustic, reflective ‘You Can't Go Back Again’ that follows. Side two of the album opens with acclaimed first single ‘Have You Seen Faith?’—a secular hymn to missed opportunities with jangling, strumming riffs, great sixties harmonies, and an especially memorable chorus. ‘She Brings The Sunshine’ is another potential single—an optimistic jangle pop classic with a skipping drum rhythm that should make it a future student disco staple, while ‘First Rule Of Book Club’ begins in the library before layering in 12-string guitars and tambourines that build to a mesmerizing climax. ‘Your Valentine (Takes Me Back In Time)’ is a fuzzy guitar hit influenced by The Buzzcocks and early My Bloody Valentine that features more backing vox by Sandra from Strawberry Whiplash, while ‘Falling In Love With A Sad Song’ is a post modern disco nugget with major seventh guitar chords and knowing lyrics. The album closes with ‘Mr. Dreaming's Bland House’—a keen observation on urban planning and the first Bubblegum Lemonade song ever to reach the four-minute mark. It begins like a late period song by The Jam before visiting The Stone Roses on its way to a psychedelic wigout and perfect ending to the album. Showcasing the latest from a never-ending pipeline of Bubblegum Lemonade hits, ‘Some Like It Pop’ is an accomplished, melodic gem and another modern classic for Matinée.